The mission of Designs 4 The Web is simple: customer satisfaction. We pride ourselves on the close working relationships that we cultivate and our dedication to each individual project. 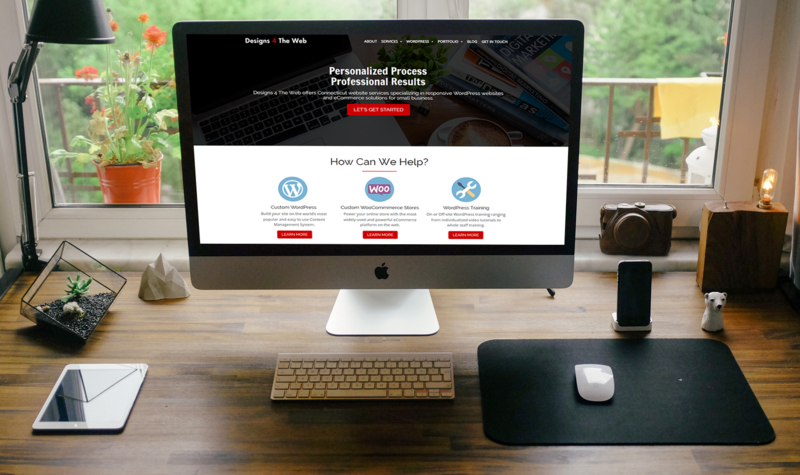 Unlike many other website development companies, we only accept a finite number of project requests at one time in order to dedicate our resources fairly and honestly to each project. In the end, we are not satisfied unless you are happy. No long winded copy here...it's actually pretty simple. There aren't many self-taught WordPress gurus out there who also double as superheroes by way of teaching middle school students. Essentially, Designs 4 The Web was built out of passion, not necessity. What does that mean for you and your project? It means that we love what we do and look forward to each new challenge and opportunity to develop something beautiful for the web. Who says bigger is always better? Being a company of one means that we assimilate fully within your project so you can think of us as a teammate and not an outside agency. We know WordPress and not to brag but we're pretty good at it. What does that mean for you? Your project gets completed faster than a speeding bullet. Many agencies use cookie cutter theme templates. We're a bit different. Each project gets its own custom built theme based on the latest design trends and coding standards. Some call it perseverance, some say it's a "never say die" attitude. We like to think it's customer service. We won't stop until the job is done right. We pride ourselves on communication and responsive action. If you need something done. We're on it. If you have a question...we have an answer. Simple, right? Our process includes the input of our clients so that the end result is a site that is reflective of your ideas and concepts. It's a collaborative process...start to finish.